The Southern California Planning Congress invites you to a networking event and dinner discussion with Professor Denise Lawrence-Zuniga. In her new book, Protecting Suburban America: Gentrification, Advocacy, and the Historic Imaginary, Dr. Lawrence bridges anthropology, architecture, planning, and urban studies to examine preservation and restoration practices in five California cities where affluent homeowners are renovating older twentieth-century neighborhoods once suffering from decline. 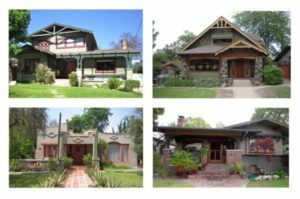 Dr. Lawrence’s unique approach combines a study of historic preservation with ethnographic fieldwork to shed light on issues of heritage, preservation, gentrification, class, ethnicity, and contested values in suburbia that have worldwide implications. Registration includes dinner and coffee or tea. Denise Lawrence-Zuniga, PhD, is a Professor of Architecture and a sociocultural anthropologist at the College of Environmental Design, California State Polytechnic University, Pomona.